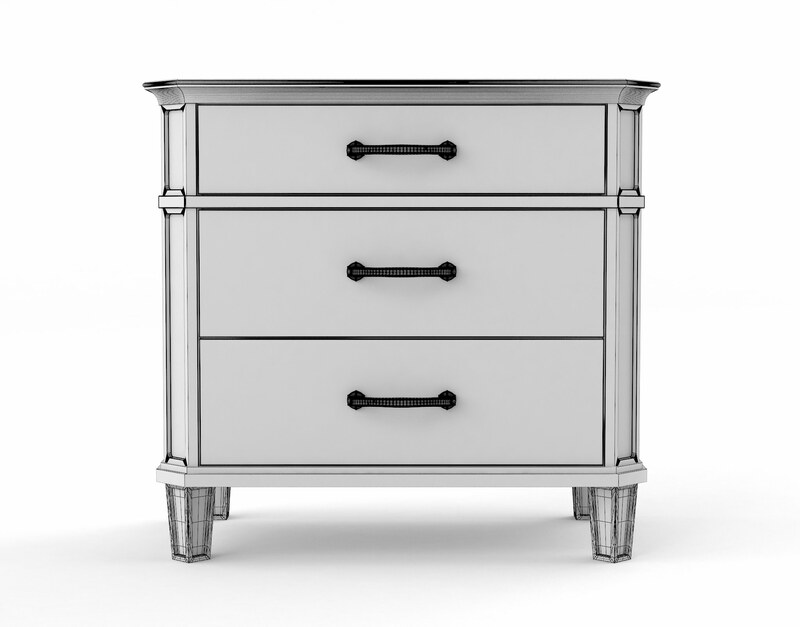 The Alvius three-drawer nightstand features an elegant inlaid top, chamfered-post design, and an affluent bar pull design reminiscent of the elegance one might expect to see in ornately carved sculptures. 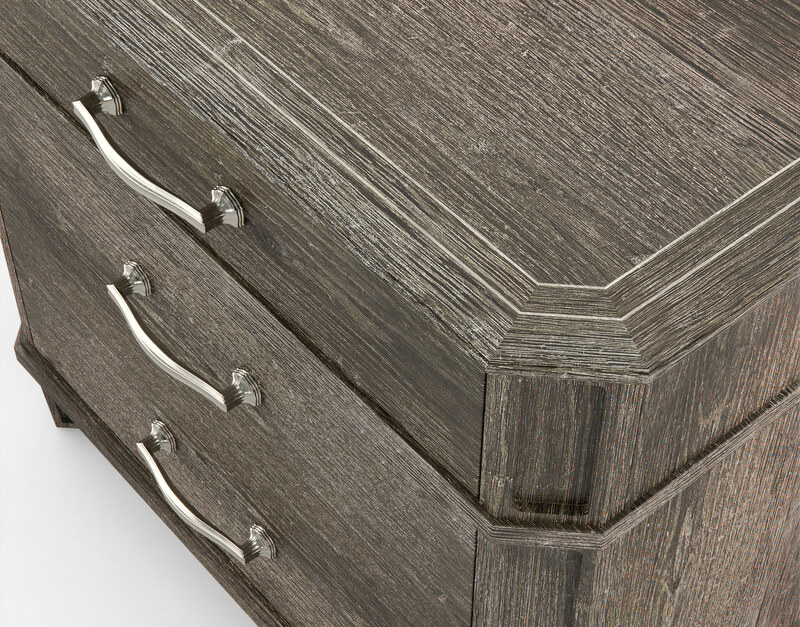 This 3D Model features a high-resolution Dark Bleached Oak texture which amplifies its inherent character in bold yet humble ways. 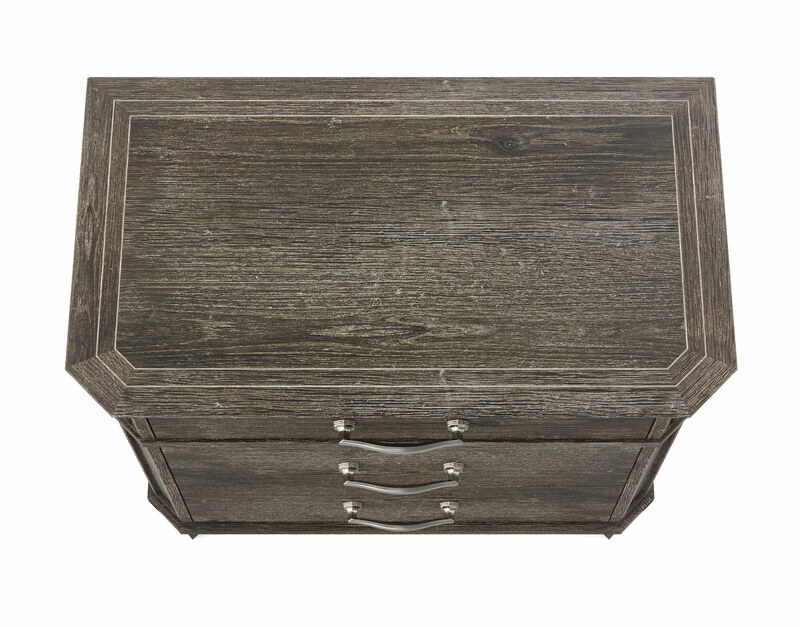 Let this piece fortify your scenes as an accent piece or as a complimentary member alongside other members of the Alvius collection. 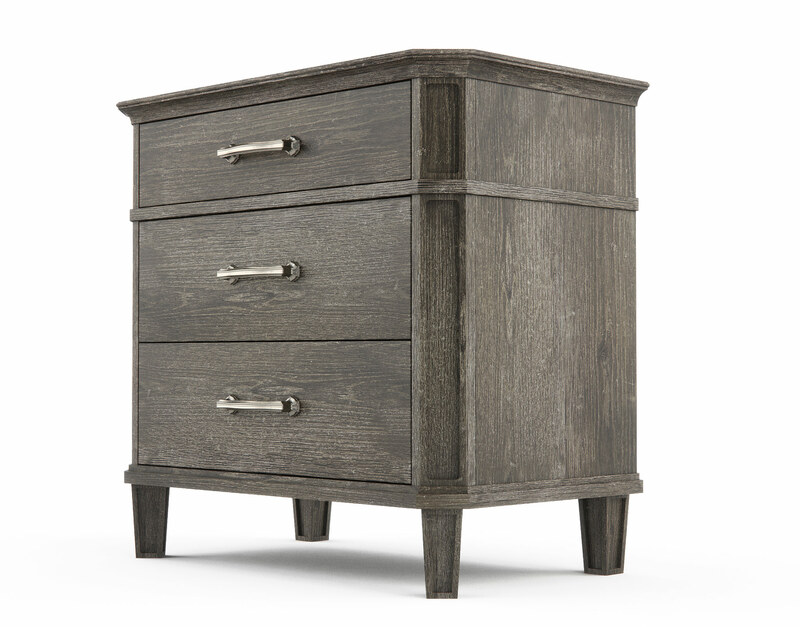 The Alvius Nightstand 3D Model is a contemporary design blended with traditional elements such as recessed carvings and extended separating rails, topped off by a mitered top accented with a light oak inlay. 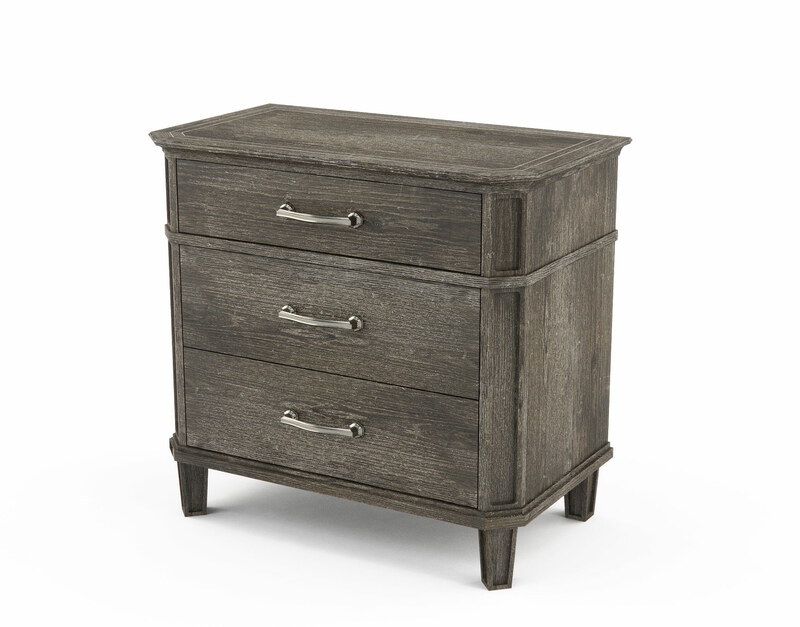 This design can help add a holistic feeling of softness and intimacy to any bedroom. 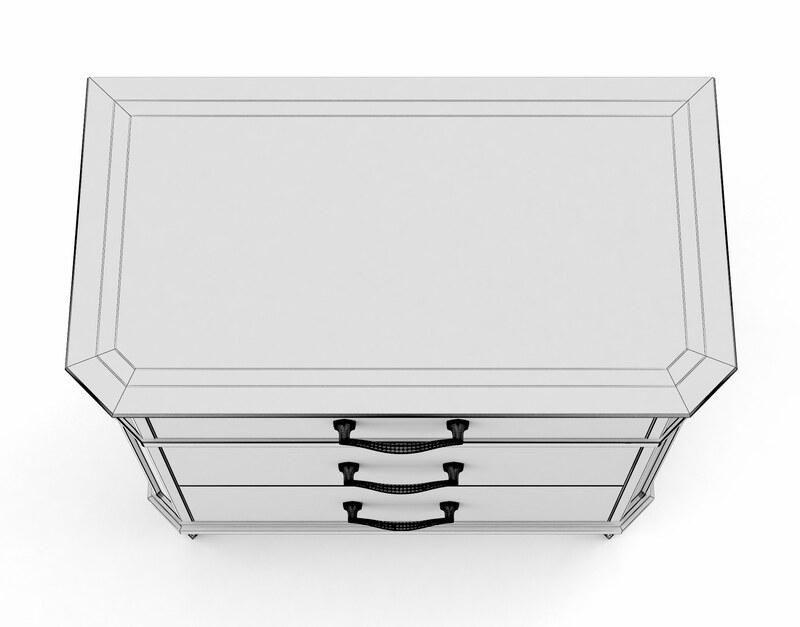 This 3D Model is sure to have quite an impact on any 3D digital rendering or visualization scene. 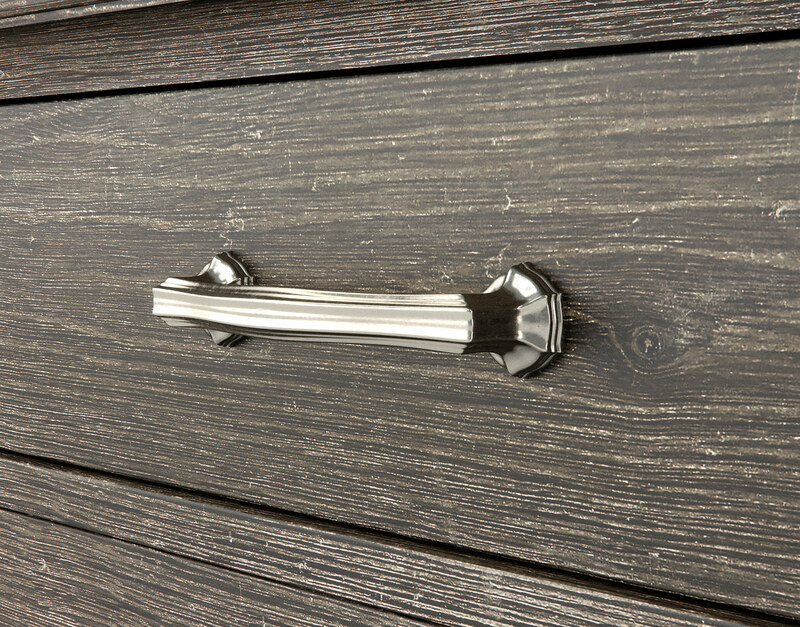 The Alivius collection shows particularly well shown in soft, naturally-lit bedrooms featuring a light decor. 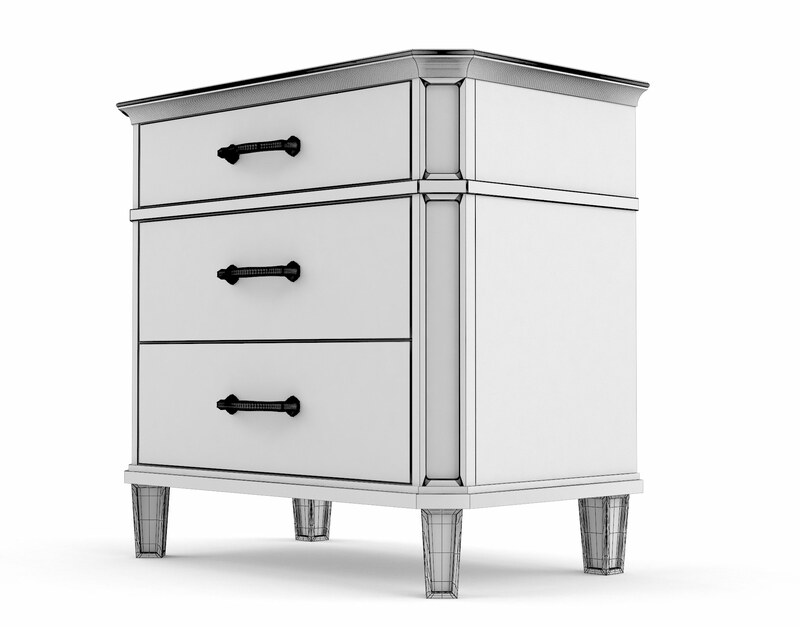 This piece, as well as the entire Alvius Collection, were inspired by French Cottage and Mediterranean Designs are known for their unimposing yet elegant presence. 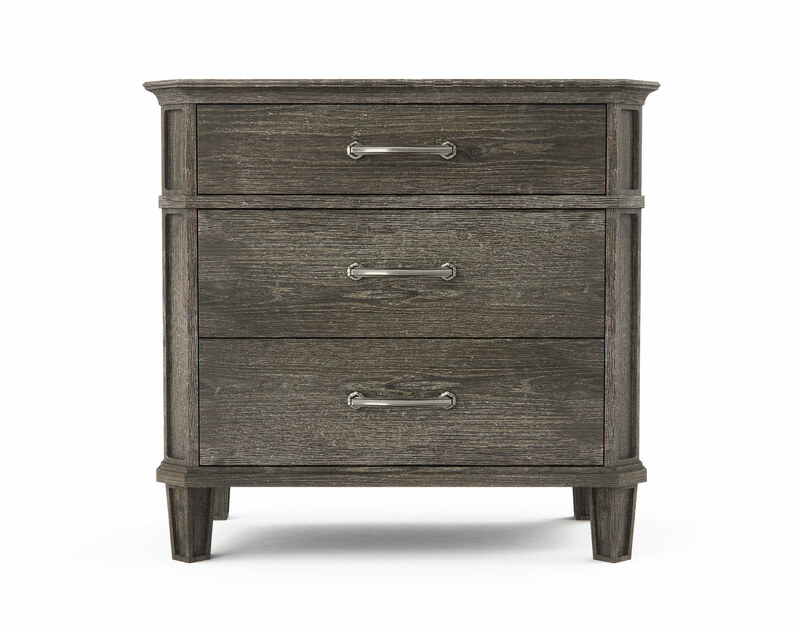 The Alvius Nightstand has a light oak, double-cut, inlay on the top surface which helps accentuate the unique craftsmanship displaying different grain directions. 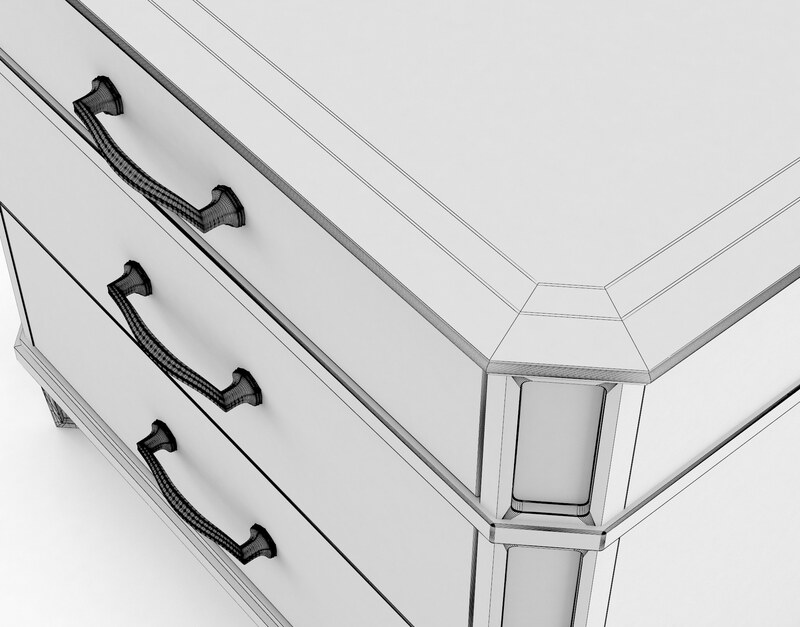 The Alvius 3 Drawer Nightstand was modeled in 3DS Max originally and has been textured using photorealistic Vray materials developed for this project. 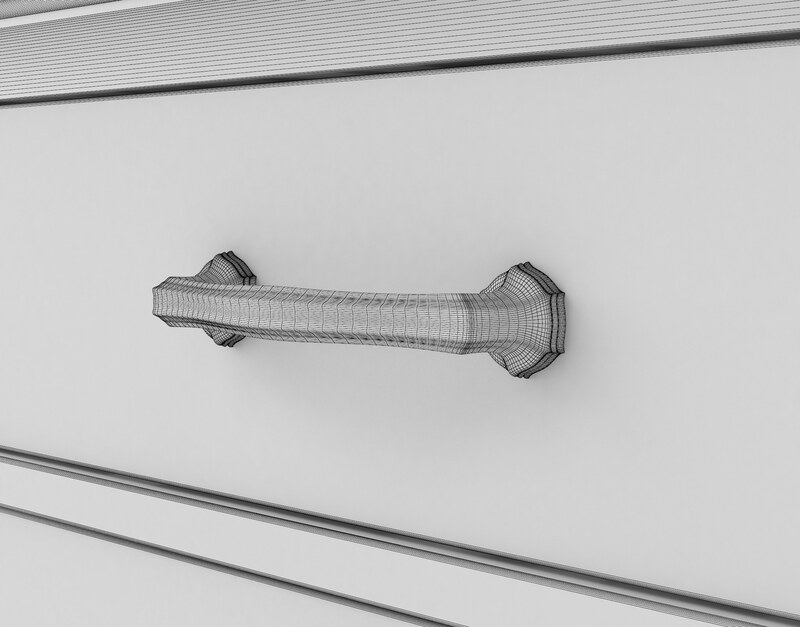 All textures are high-resolution and tileable for easy use with other 3D models as well. 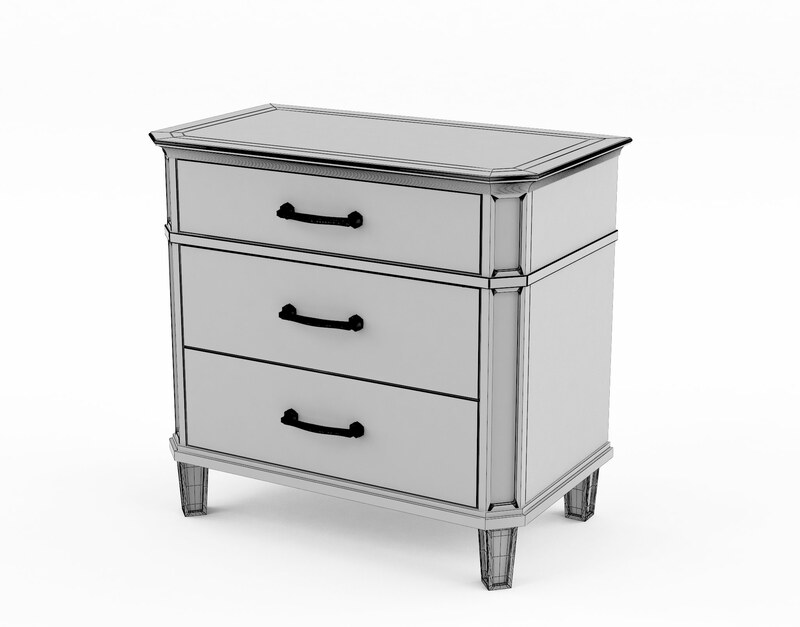 This 3D model is best suited for bedrooms, serving as a nightstand, but also works well as a hallway accent table, an oversized end table for living rooms, or as a stand-in file cabinet for Home Office applications.